It is critical to ensure that your plants are growing in a stress free environment by supplementing them with proper temperature and humidity levels in the greenhouses and propagation nurseries. 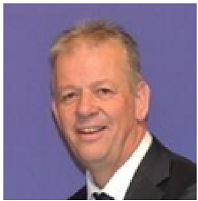 Codema’s high pressure fogging system offers a cost effective and versatile way of achieving this. A fogging system will ensure optimization and a more precise regulation of air humidity and temperature, which makes you more capable to direct the moisture absorption by the leaves of the crops. 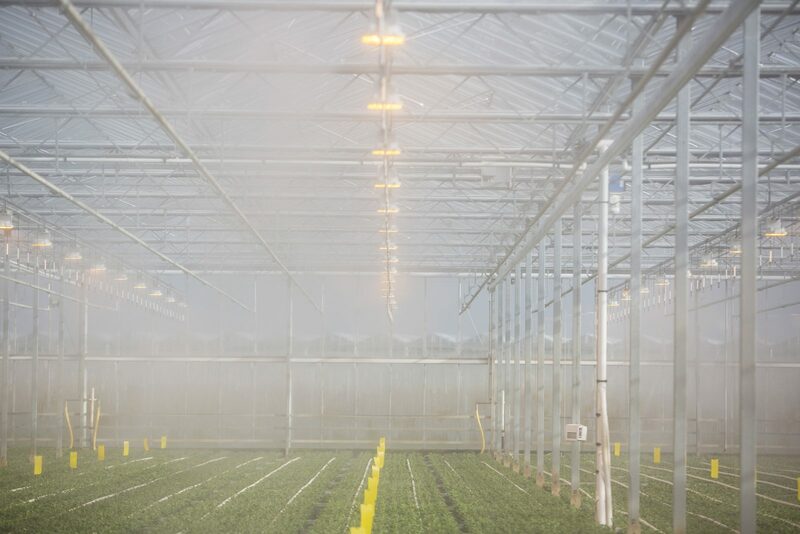 Fogging systems are one of the most effective methods for uniform greenhouse cooling. Temperature drops to 5°C in unshaded and 7°C in shaded greenhouses can be achieved. 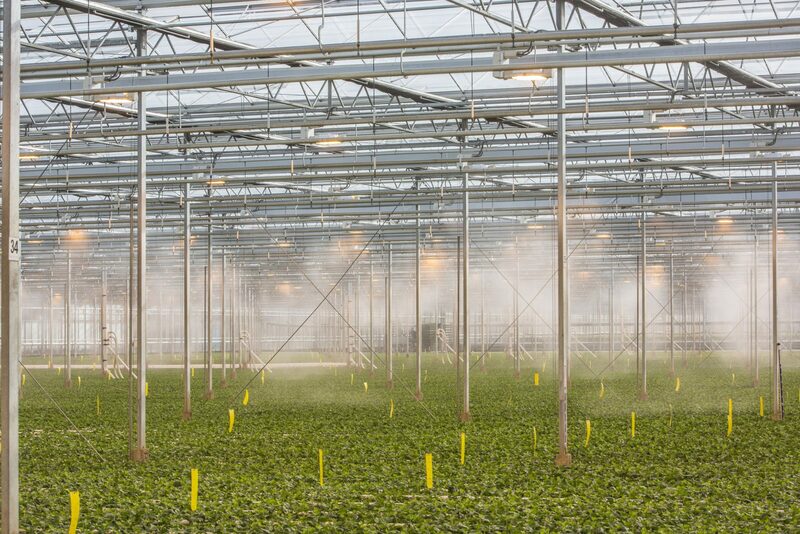 Our fogging system can also achieve humidity levels inside the greenhouse from 50% to 90%. Thus, no excess wetness in your greenhouse anymore. Our high pressure fogging can provide almost immediate humidification, minimizing bacterial growth or damage to crops and flowers. 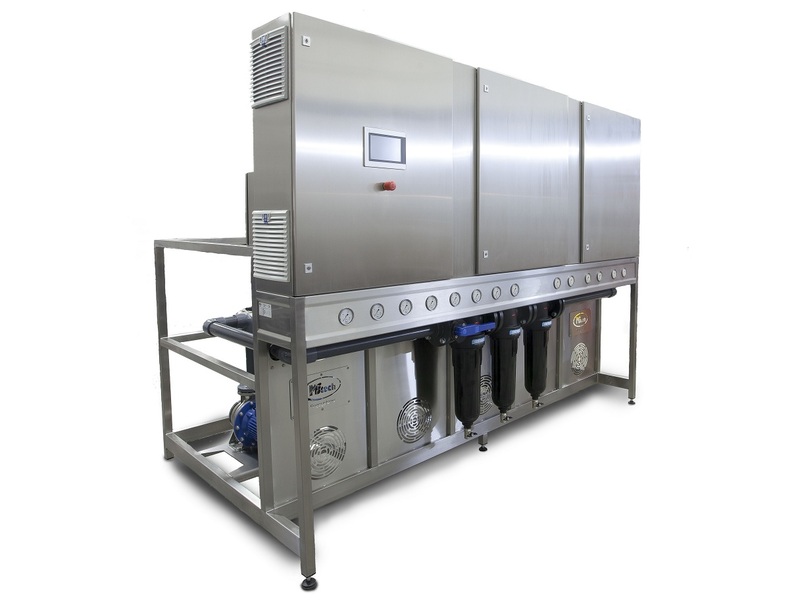 Our fogging systems work at very high pressures of around 100 bar, producing fine droplets of around 10 microns. The fine droplets of water cools the air and the cool air travels down to the crop level, to be replaced by the hot air rising. The key benefit of these extremely small droplets is that they quickly evaporate and therefore do not fall down onto the leaves of the crop. 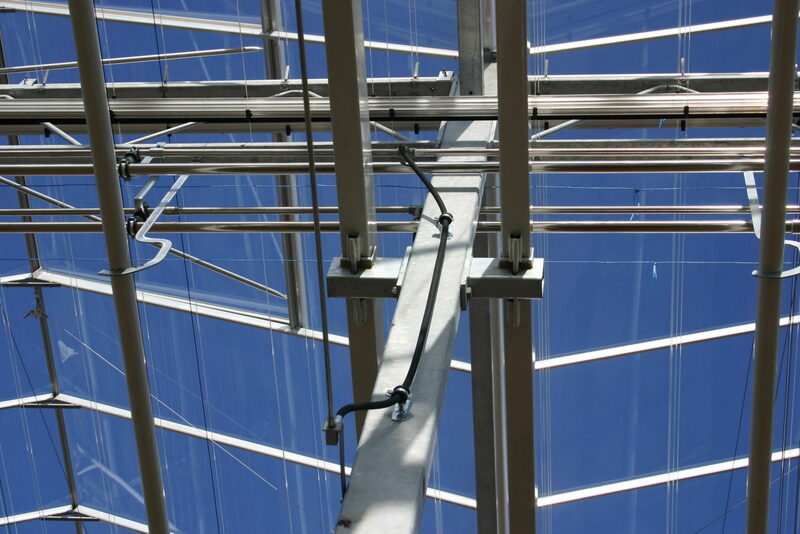 This gives optimal greenhouse cooling and temperature control. You will also experience a reduction of water use compared to other systems, such as sprinkler or pad & fan installations.